Are these are the only LG phones getting Android 6.0? We've seen both Motorola and HTC list which of its handsets will receive the Android 6.0 update. In the case of Motorola, it is quite an emotional matter as owners of certain models ended up disappointed to find out that their handsets are forever stuck on Android 5.1. On LGWorld.com, a website that is run by the manufacturer, it was discovered that you can select a country, in this case the U.S., and are taken to a page where apps and games are listed. You then pick a phone and see which versions of Android are available for each handset. Interestingly, Android 6.0 was listed on two models. According to LG, Android 6.0, also known as Marshmallow, will be headed to the LG G3 and the LG G4. One model not listed is the LG V10. The recently unveiled multimedia monster will launch with Android 5.1 pre-installed, and will be updated fairly quickly to Android 6.0. The rest of you still rocking the LG G2, or some other LG model not mentioned, will have to hope that LG expands this list soon. I am more than certain the V10 will get 6.0, I don't see why it wouldn't. Anybody that wants the latest version of Android sooner than later needs to stick with Nexus phones. Shame, because LG G2 is still a very solid phone. 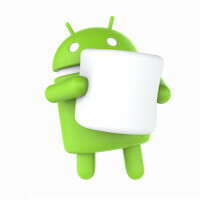 Luckily, I am almost sure that we will get it through custom ROMs like CM or PA. Excluding the 2 year thing, I think they should have updated the LG G2. They took so long to update it to lollypop and now it's just hanging on 5.0.2 which still isn't even the latest version of lollypop. LG has confirmed it will be upgrading to Android 5.1.1 Lollipop. No news on 6.0 though. What happened to the title?? It is a brillinat solutin, though: depending on which "are" you left out, the sentence can be positive or interrogative. But then what is with the question mark? Its an incredulous question. Like he cant believe that they are only updating those two phones. I guess the LG G2 joins the HTC M7 in the doghouse. Both are still capable phones, such a shame. Your phone breaks because they don't get latest Android version? Hey man, since you know a thing or two about SoCs. I wanted to ask, do you reckon SD 810 with V 2.1 would be prone to overheating in Nexus 6P ? Since I am not sure what changes Qualcomm has made to SD 810 I am not sure it would hold up under intense load. Also the One Plus 2 with its v2.1 throttles as well. So what's your thought about Sd810 V2.1 ? Thanks in advance. All the phones except the g flex 2 use the 810 v 2.1. So i expect the same of what happened to thev1+2, m9, z3+ to happen to the 6P. If it doesn't overheat, it will throttle. If you want a phone now, don't get a qualcomm powered one. They have horrible efficiency (read battery life ) and performance. The 810 is garbage, 808 is midrange grade and the others are no worthy of flagship either. Either go for a samsung or iPhone, or wait for an 820 powered one. 820 is going to be much superior. Any news about Sony ? I'm sure that Z1 and later will get the update, some mid-range phones as well. Worst part about owning an Android, the horrid update relationship. Why don't all the oems just release kernels and other required code library to the romming community, they will take care of the rest. HTC, LG, Sony and the rest should create a standard repository for all their libaries so people like cyanogenmod can just compile the latest Android versions with ease. And release all their phones with unlocked bootloader. Or do what moto does, use stock Android. I agree. I always put a custom rom on my device (even on the Nexus) and it does rule out certain handsets, since custom rom support is awful for it. Usually it's the manufacturers fault for not releasing the drivers/kernel for the community. Hmm, I think Sony does that for like 3 years. THANK YOU. Best comment on here, I agree completely! iPad air and iPhone 5S run like poop on iOS 9.